Keeping Up with the Joneses – Season 1 (2010) – What's New on Netflix Canada Today! Australian reality TV series that follows the daily lives of the Jones family on a Coolibah Cattle Station, 600 km south-west of Darwin, Northern Territory. They muster cattle, fight fires, battle floods and even wrestle crocodiles. Deep in the Outback, the enterprising Jones family epitomizes can-do spirit as they face the elements, wrangle livestock and scuffle with crocodiles. 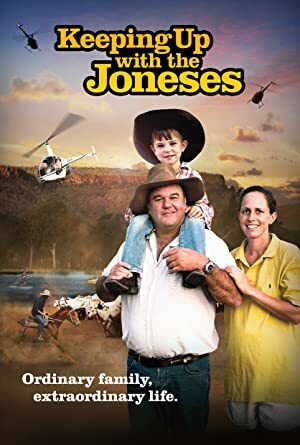 Australian reality TV series that follows the daily lives of the Jones family on a Coolibah Cattle Station, 600 km south-west of Darwin, Northern Territory. They muster cattle, fight fires, battle floods and even wrestle crocodiles.